Cornwall Air Ambulance is asking supporters to help top the £1 million mark in it’s fundraising campaign for a new helicopter. Following a bumper year of fundraising, an incredible £993,142 has been raised for the New Heli Appeal so far. Since the charity launched the £2.5m appeal in April 2018, supporters have held events, activities and challenges to raise money for the AW169 helicopter. In the last two weeks alone, 20 schools have pledged their support to the appeal by holding non-uniform days. The lifesaving charity is now appealing for help to reach the £1M milestone before the end of the month. Amy Richards, New Heli Appeal Manager, said: “We are so close to £1M, it would be wonderful to achieve this before the end of February. We need everyone to get behind the appeal and help us reach this major milestone. “We’ve had a fantastic response to our appeal and have been overwhelmed by the generosity of the people of Cornwall and further afield. So many community groups, schools, businesses and individuals have come on board and have been tirelessly fundraising for the charity, which is just amazing to see. I’d like to say a huge thank you to all our supporters. 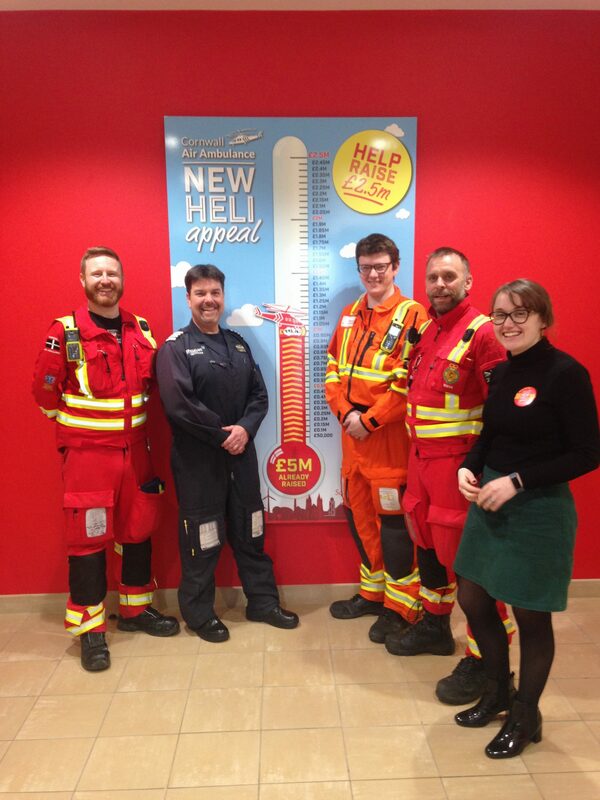 “We’ve got lots of exciting partnerships this year and the New Heli Appeal really is gathering momentum as we reach the final year of fundraising- but we still have a long way to go.